The Travels of Daniel Ascher, by Déborah Lévy-Bertherat, is about the power and importance of storytelling. It is the story of Hélène, an architecture student who has just moved to Paris; Daniel Roche, Hélène’s spirited great-uncle famous for his writing and world travels; and Peter Ashley-Mill, the hero of The Black Insignia series. H.R. Sanders (Daniel’s pseudonym) is famous among children and adults for his Black Insignia series, but Hélène resents her uncle. He sat at the children’s table and told them elaborate stories of his travels abroad. As Hélène grew, she found these stories less exciting and more annoying. She has never finished one of his books and she does not plan to. In fact, she is perfectly happy to spend as little time as possible with her great-uncle while she is in Paris. And yet, his mysteries keep pulling her back in. Who is Daniel Ascher? Her family adopted him when he was a young Jewish boy in 1943 (she knows that much) but as Hélène spends more time with Daniel, she finds that there is much more mystery to him than she thought. The story of Daniel Roche is this: he was adopted by a French family when he was eight years old and they loved him as their own ever since. The story of Daniel Ascher was this: he had a father, a mother, and a sister who loved him and who all died at the hands of the Nazis, and he was later adopted by the Roche family. Daniel calls himself Moses because he feels like the boy who was given a second chance at life. The Roches love him, but do not want to talk about his life before them. He is expected to fully convert to their life, including converting to Christianity. Like Moses, Daniel must live two lives. Daniel Roche is known as a world traveler. His grand-niece has always known him as a grand-storyteller. He always sat at the kid’s table and brought back fantastic souvenirs for the children. She quickly became annoyed of his childish behavior and never read his books, but her brother adored him. As Hélène grows to understand her grand-uncle, she gains an appreciation for him that she never had. She begins to discover more and more about Daniel Ascher through her grand-uncle’s oldest friends and family members. She understands the double life he has always led and the guilt he holds on his shoulders. 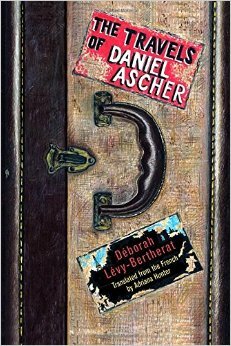 Through Daniel’s struggles, Lévy-Bertherat depicts the struggles that every immigrant and adopted child goes through. Daniel feels that he does not belong and he is constantly wishing that he had died with his family. “I can’t remember when I stopped hoping they would come back—for a long time, I dream my parents come home and I don’t recognize them, or I refuse to go with them, and I can see the reproach in their eyes because I’ve been happy without them.” Lévy-Bertherat beautifully intermixes these two Daniels, especially in her retelling of Peter Ashley-Mill’s adventures. The adventures told in the Black Insignia stories are heroic. They are the stories that Daniel wishes he could have told about his own family. They are stories about Peter Ashley-Mill, a hero who comes to save those who cannot save themselves. He uncovers the truth and fights for the underdogs. Daniel has always struggled with the idea that he does not belong and through the fantastical adventures of Peter Ashley-Mill, he is able to be the hero that he never was. Even his alias is part of his double identity. Ascher means happy in Hebrew, a heavy name to bear, Ash-err, full of firestorms and aimless wandering, how to disguise these ominous, onerous meanings, hide them behind two letters, H.R., which in French would be pronounced Ascher; and then Sanders, which conjures sand and cinders, but I’ve also kept the name of the Roche family who saved my life, roch means head in Hebrew; with these two names I am flesh, I am in my head and I am cinders, all at the same time. In these stories, Peter saves refugees and he gives them authority and power over their lives; Daniel and all Jews never had this power. Daniel’s life is a secret that he keeps closed away, only telling his closest friends, and even then only when they are fellow refugees. Only other displaced people can understand the pain of losing family. Peter, unlike Daniel, is able to save everyone. Peter is a hero of epic proportions and every one of his stories ends happily. Lévy-Bertherat beautifully contrasts Peter’s fantastical adventures with the grim reality that Daniel has lived through. Daniel cannot bring himself to tell the truth about his family, so instead he tells fantastical adventure stories. As Hélène discovers more about her grand-uncle, she sees that Daniel’s real life is not as wonderful as the stories he tells, but it is a story worth telling. He is a man who deserves to be known, not hidden away. Daniel tried to tell the true story of who he is, but he felt that he could never do it justice. I have told many stories, never my own, I have made up twenty-three adventures, but when I tried to write the last one, the real one, about someone who was left behind, who is left here still, who is left without words, who is left to live his life after all the others have gone, I could not do it, my memory betrayed me, I betrayed their memory, I abandoned the task, afraid I would not be worthy of it, can anyone be worthy of the dead? When it came to telling his real story, his true story, Daniel felt that he could never truly depict the family he had left behind, the family that left him behind. The guilt he carries is too strong. He feels he has betrayed them with his happiness and that he never should have been saved. How could he ever truly be happy when he knows the fate that they faced? He has to live with the reality of being the one who was left behind. He is Moses who was given a second chance, but this comes with a heavy burden. Moses saved the Jews. Moses did great things, but what has Daniel done? Daniel is no hero, he is just a story-teller living two lives. The second chance he is given comes with a price, the price being that he is the only one who remembers. He is the one who has to live with the guilt of surviving. Lévy-Bertherat also shows the power of fiction through the stories of Peter. Daniel is not able to tell his own story, but through the story of Peter, he is able to feel like he has agency over his own life. He gives the power back to the underdog and everyone is happy in the end. Peter always gets his guy and saves the day. Daniel never had this power in his own life, but now he does. Fiction gives us power. It allows us to act out narratives we would never act out in real life. Daniel could never save his family, but Peter can save everyone. In the same way, through Peter’s adventures, Daniel allows every reader to be a hero. He gives the power back to the deserving and allows him to tell the story he wished he had lived. Meanwhile, Hélène, who always found her grand-uncle’s stories tiresome, is finally enthralled by a mystery, but this is the mystery of his real life. As Hélène discovers more and more about Daniel Ascher, she gains an appreciation for her grand-uncle that she never had before. Lévy-Bertherat tells the fictional story of Peter Ashley-Mill, and the reality of Daniel Ascher/Roche. When Hélène finally reads Black Insignia she does not read it for adventure, but rather for the truths behind the mysteries. In every refugee rescued, she sees a young Daniel, scared and alone. By the end of the novel, Hélène has solved the mystery of Daniel Ascher. She understands the guilt that he faced and the secrets he kept in order to keep others from harm. She understands the secrets and the suffering he disguised from the Roches and she understands the burden of truth that he carried about the Aschers. Hélène no longer views her grand-uncle as a childish man, but rather as a man who could never tell the truth of his childhood. This burden caused him to forever be two people. 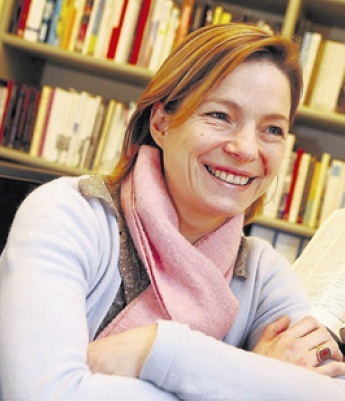 Déborah Lévy-Bertherat teaches Comparative Literature at École Normale Supérieure. She has translated A Hero of Our Time by Mikhail Lermontov and Petersburg Tales by Nikolai Gogol into French. The Travels of Daniel Ascher is her first novel. 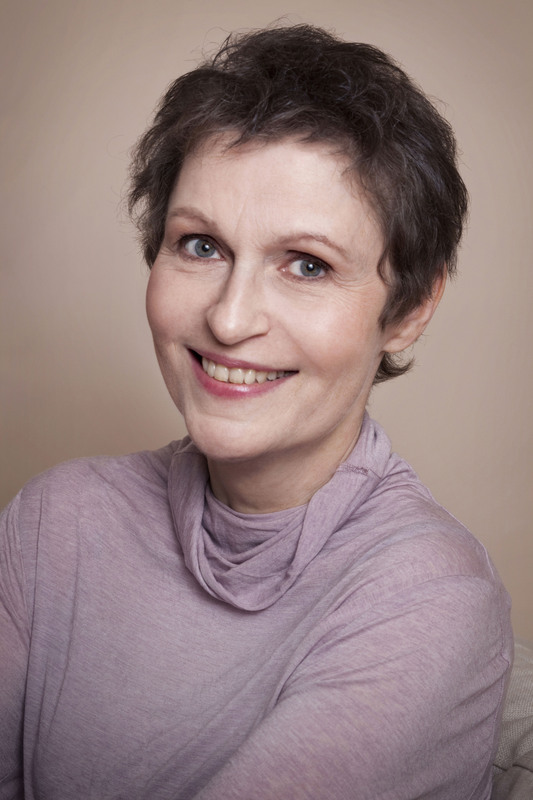 Adriana Hunter is a British translator of French literature and an author. She studied French and Drama at the University of London. Hunter has translated more than 50 French novels, such as Fear and Trembling by Amelie Nothomb and The Girl Who Played Go by Shan Sa. In 2011, she won the Scott Moncrieff Prize for her translation of Beside the Sea by Veronique Olmi and in 2013 she won the French-American Foundation’s Translation Prize in Fiction for her translation of Eléctrico W by Hervé Le Tellier. Hunter was short-listed for the Independent Foreign Fiction Prize in 2003. She is also a contributor to Words Without Borders. She lives in Norfolk, England.